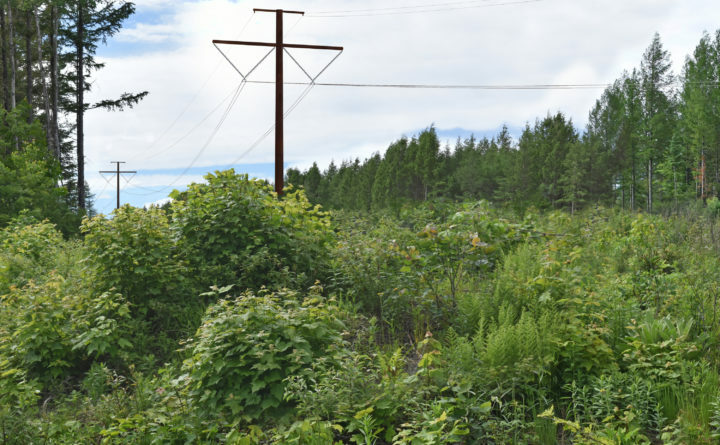 The proposed Central Maine Power Co. transmission corridor is not popular, particularly in western Maine communities where it would be built. The decision to approve the project or not, however, is and should continue to be based on existing review processes and requirements rather than popularity. The local opposition to the New England Clean Energy Connect project is strong and remains an important consideration for regulators within the scope the remaining project reviews, but there is a critical distinction between an unpopular project and a project that doesn’t meet established rules and regulations — and legislators should avoid confusing the two. On Tuesday, the Maine Legislature’s Committee on Energy and Natural Resources is holding a work session on several bills relating to transmission corridors, including an emergency bill from the committee’s chairman Rep. Seth Berry that would — among other provisions — require the CMP plan and similar projects to receive support from each town they cross through via a local referendum. That approach has an initial appeal, especially for those who value local control. But allowing one municipality to stop a transmission project with statewide and regional implications feels more like an attempt to scuttle the process entirely rather than to empower local voices. It also runs afoul of another important principle: regulatory predictability. This bill and several others would change the regulatory rules of the process for the CMP project well after it has started. No matter which side of the NECEC debate you come down on (we cautiously support the project), the approach of adding new requirements at this stage should be met with great hesitance and skepticism. This tactic of moving the regulatory goal posts is unfortunately familiar in Maine. We’ve seen a similar approach unfolding in the debate over Nordic Aquafarm’s proposed land-based aquaculture facility in Belfast. In 2013, lawmakers changed the rules around offshore wind energy generation after the PUC had granted preliminary approval to a project. That legislative change drove away a potential $120 million investment. The general idea that developers should have a clear sense of what standards to meet and processes to follow holds true in each of these cases. It’s also true that Berry has been working on this bill for quite some time, having attempted to introduce the legislation in the second session of the previous Legislature. So in fairness, this isn’t exactly a last-minute move. “While it is never ideal, the legislature has the constitutional right and at times, I would argue, the duty to adjust standards for, to alter or to slow down pending proceedings with major implications for Maine,” Berry said in an email. He’s right: It’s not out of bounds for the Legislature to weigh in. But we believe that should be done with future projects in mind, rather than slowing or stopping an existing review. The CMP project is already going through a process guided by existing state law and overseen by several state departments and commissions. The Maine Public Utilities Commision recently voted 3-0 to grant CMP a certificate of public convenience and necessity, and permitting through the Maine Department of Environmental Protection and the Maine Land Use Planning Commission is ongoing. The PUC staff’s report, while recommending the project move forward, found that CMP demonstrated an “unsettling disregard for certain members of the host communities.” Local concerns should be, and have been, part of the review process. The fact that the PUC decision isn’t what opponents hoped for does not mean the commissioners and staff didn’t hear and assess their concerns. This BDN board has offered qualified support for the NECEC project — and we continue to believe it will be one tool in the necessary push for more clean, renewable energy. Our opposition to several of the bills before the energy committee Tuesday is not in defense of the NECEC project or even Maine’s existing process and requirements for transmission corridors, but instead in defense of regulatory predictability and the notion that moving the goal posts in the middle of the process is a bad approach for proposed developments in Maine. If legislators believe our current requirements and review mechanisms to be flawed, they should pursue changes for future projects. But they should avoid using the legislative process to stop or stall individual projects already under review.